Just going to be a short post today, I start my new job tomorrow so i have to get ready. Ill have a better post after i get home tomorrow. They also had ones with cherries and teapots, but i didn't really like the cherries and it looked as if there was one teapot decal. So i went with these cute flowers. 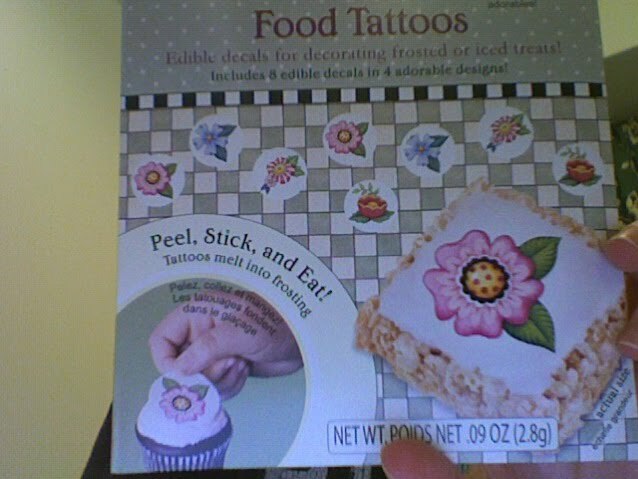 I cannot wait to make some cupcakes or cookies to put them on. As soon as i do i'll post some pictures and a review on them. 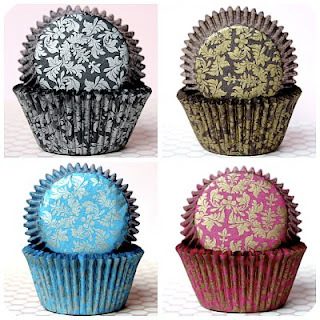 These are a great easy way to dress up your baked goods for a special occasion. Those of you who know me know that i go crazy over packaging. If there's ever a gift for someone i always jump at the chance to wrap it. I just love packaging things, finding the right boxes, paper, ribbons, bows, tags. I love making every present unique and different. After all i mean it is called a present, so i feel it should make quite a presentation. Okay enough rambling you're probably like what does this have to do with food? Well while i was bored one evening surfing the web i came across this website. Let me just say i feel like i have died and gone to heaven. The website is mainly dedicated to packaging your baked goods. It is called bake it pretty. 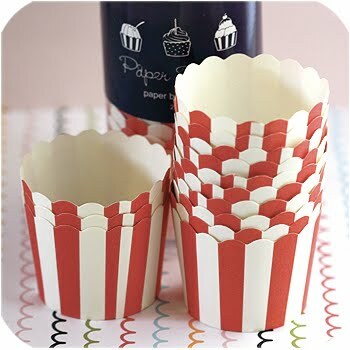 I love these they are so cute, they look like little popcorn buckets. They baking cups, but there made from ultra-heavy duty paper, so it says there great for serving ice cream, or pudding. These would be so great for a kids birthday. I love these doilies, and i was shocked at the price they are only $7.95 for a pack of 75 and you get different sizes!!!! At michael's you get a pack of one size containing about 12 for about $5. So this is a really great deal! 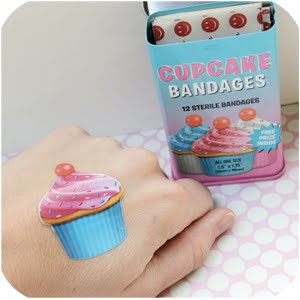 Oh and for all you accident prone bakers out there (haha thats me!) well they've even got something for you! I got the job that i wanted!!!! Now I'm sure most of you have played a little game called candyland, or you've at least seen it. Well candyland has seen some changes over the years, however overall it's remained for the most part the same. Well my friend was talking about her birthday that was coming up, and how her dream cake would be a candyland themed cake complete with the ice cream cone castle. So i decided to surprise her and make this cake. It was a 3 tiered cake, covered with pink rolled fondant. It was a vanilla cake, with cotton candy buttercream icing. See how the candy canes are shiny? Well this is achieved by using gumpaste glue. Gumpaste glue is used as you may have guessed for adhering pieces of gumpaste to each other, or to fondant. To make gumpaste glue all you must do is fill a small container with some water (i use those empty travel size shampoo bottles you can buy in stores) then place a small piece of gumpaste into the water. As the gumpaste disintegrates it creates an edible glue. Now when you lightly brush the gumpaste glue onto the gumpaste, it leaves a shiny coating. Again the border is made from fondant, and the lollipops are also made from gumpaste, then coated with the gumpaste glue to give them that lollipop sheen. Here is a picture of the top tier of the cake, which is also the ice cream cone castle. 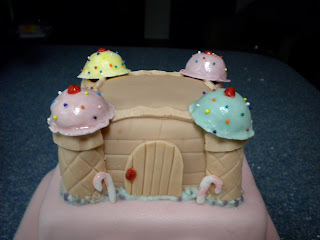 The main part of the castle is the top tier of the cake, which is covered in fondant. Then the ice cream cone towers are made from gumpaste, the little candycanes in front are also gumpaste. The grass around the castle is made from royal icing. The sprinkles on the ice cream cones are real sprinkles. So today was a really long day, not feeling so great and really tired. So ill have a real post tomorrow. Yes it's not quite summer, but it is approaching quickly. I also know there are many places where it already feels like summer. I am personally not a huge fan of the summer time, i hate the heat, and the sun. I do however enjoy summertime food. So while i was meandering through the library the other day i came across Ina Garten's Barefoot Contessa Family Style cookbook. Now i love Ina Garten, she's one of my favorites, so i picked it up and began thumbing through it. Thats when i came across a very familiar recipe that i had long forgotten about. It was for her Summer Pudding with Rum Whipped Cream. I had made this a few years ago and loved it, but somehow i had forgotten it. This is the perfect summer time dessert, its light and refreshing, the perfect balance of sweet and tart. I highly recommend this recipe to anyone, It's so simple but definitely a crowd pleaser. It also needs to be made the day before which i always like. 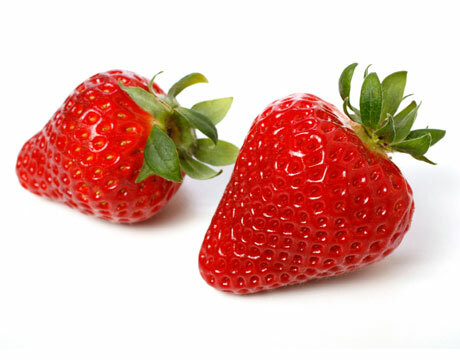 Combine the strawberries, sugar, and 1/4 cup water in a large saucepan and cook uncovered over medium-low heat for 5 min. Add 2 cups of the raspberries, and all of the blueberries and cook, stirring occasionally until the mixture reaches a simmer. Simmer the mix for about 1 min. Off the heat, and stir in the remaining raspberries and the liqueur. Slice the bead in 1/2 inch thick slices and remove the crusts. In the bottom of a 7 1/2 inch round by 3 inch high souffle or baking dish, ladle about 1/2 cup of the berry mixture. Arrange the slices of bread in a pattern (This will end up being the top when it's unmolded) then add more berry mixture to saturate. Continue adding bread cutting the pieces so that they fit snugly together in the mold. And continue putting more berry mixture on each layer. 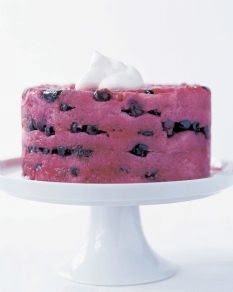 Continue doing this until you have used all of the berry mixture. Place a sheet of plastic wrap loosely over the pudding. Find a plate that is almost the same size of the mold, but must be able to fit inside of it. Place the plate on the plastic wrap, and use a heavy can to weight it down. Refrigerate for 6-8 hours, then remove the weight and refrigerate overnight. Just before serving, run a knife around the edge, the place the serving plate on top of the mold, and quickly flip. The pudding should come right out. So if your having friends over this summer, or are like me and just have a huge sweet tooth, then this is the perfect summer time treat for you and the whole family. 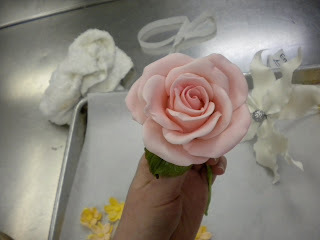 So i figured today i would post some sugar flower work. This is by far probably my favorite thing to do. So these flowers are made from what is known as sugar paste or gumpaste (depending on who you talk to haha.). 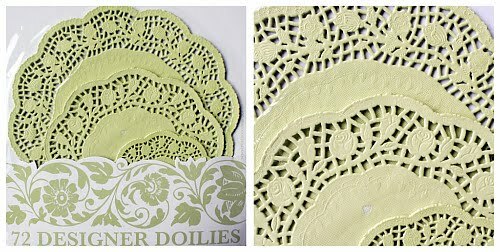 Now you can make tons of things out of this, its not just for flowers. 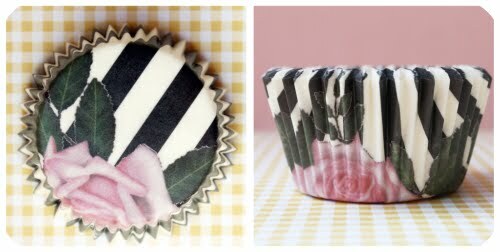 It works great for bows, ribbons, draping, leaves, and can also be pressed into molds, so really you can make just about anything! So all these pictures are from my school days. For 2 days we had chef Ron-Ben Israel teaching us some sugar flowers. Now as my mom like's to tease me, i apparently can't go a day without mentioning his name. So i strongly suggest looking him up, if you don't already know who he is. Ok so this first pick is of some leaves, petals, and centers drying. You may wonder why are they on egg crate foam? Well this is because of the bumps and craters in the egg crate, when the petals an leaves dry on this it gives them shape, which makes them look more natural. This is after adding some color to one of the calla lillies. This is done by using what is known as petal dust. Its a edible pigment in a powder form, that it dusted on the flowers or leaves using a paintbrush. Click here for a website where you can purchase some, i've purchased fondant from this site, they have quick reliable shipping/service. Well i think thats enough for today, i'll definitely be posting more sugar flowers soon. So today i figured i would post some pictures of the sugar work we did in school. 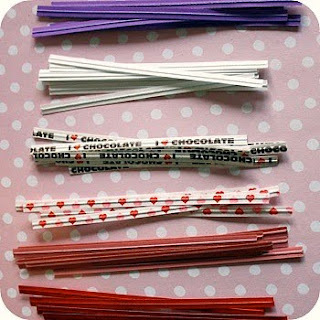 I had a bit of a love, hate relationship with sugar. 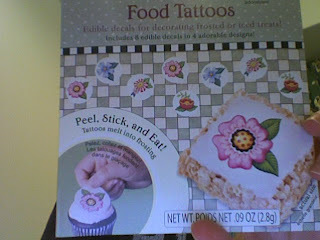 On one hand it was fun making pieces of art with something edible. However it was a difficult medium to get used to, there are just so many things that can mess up your sugar. There's also something called isomalt, this is a preferred alternative to sugar for showpiece work, because it will not crystallize as quickly as sugar will (however it's very expensive). If your not sure what crystallization means in the terms of sugar art, well lets just say its not good (unless its the look your going for)haha. So the first picture is one of the first thing we made with sugar. Its mainly comprised of poured sugar. The sugar is heated to a certain temperature, mix in the color, and then poured into molds. Once the sugar is completely cooled you assemble the pieces with more of the cooked sugar. The whiskers, feathers, and ball of yarn are made from pulled sugar. These next two pictures are of a piece that i did with a few other students. We were all divided into groups, and had to come up with a design together for a cake stand that could hold two 6" cakes, and was halloween themed. So our group went with a spooky haunted house. Most of the piece is poured sugar, the tree is straw sugar (basically where you keep pulling the sugar and folding it together, creating hundreds of tiny hollow tubes), and the "dirt" is rock sugar. Note the man with the knife chasing the woman :] So we had one day to do it, and i think we all did a really good job. We didn't make the cakes, those were from the class below us. Also in the second photo is sylvia, she was in my group. So heres another sugar showpiece we did. 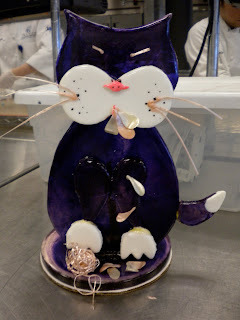 This was also a group project, however this time every person had to come up with a complete design and plan on how to make a sugar showpiece, based on a famous piece of art. Then when we came in the next day we were split into groups, and as a group we had to choose who's design we were going to make. To my surprise my group chose mine! 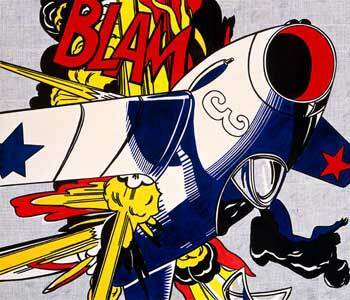 So my design was based on Roy Lichtenstein's BLAM! If your unfamiliar below is a picture of it. So the background, base, and letters are all poured sugar. The plane is made of pulled sugar, and the flames and explosion stuff are made of pulled, poured, and straw sugar. Its a little hard to tell in the pic, but we made the background all one piece the yellow explosion cloud is all flush with the background not a separate piece. So my mom was saying how she just bought some lavender plants to put in her herb garden, and i was telling her how you can cook with lavender. So i've been researching some recipes using lavender. 1.Do not eat flowers from florists, nurseries, or garden centers. In many cases these flowers have been treated with pesticides not labeled for food crops. Please Make Sure your lavender is safe for consumption!!!!!!!!!!!! 2. Adding too much lavender can be detrimental to your dish. It will taste like your eating perfume. Because lavender has such a strong taste, a little goes a very long way. 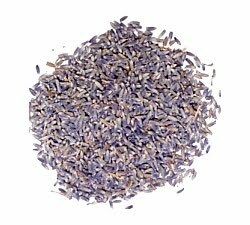 Okay so cooking with lavender, well most recipes i've seen use dries lavender. However i have read about using fresh lavender flowers (again still make sure it is culinary grade lavender) on things, but more so as an edible garnish. Some places to purchase lavender are Whole Foods, most specialty gourmet stores, or of course online. Click here for a website you can purchase lavender. okay now for some recipes using lavender, now remember i haven't been able to test any of these so i can't personally guarantee that there an good. I did however only choose recipes that had good reviews/and or sounded like there shouldn't be a problem. 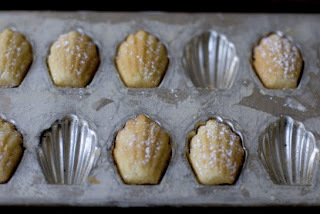 So the first is for lavender madeleines, I'm personally a huge fan of madeleines. Melt the butter with the lavender and let sit for 10 minutes to infuse. Strain but keep half of the lavender in with butter, or discard the whole amount. Working with a stand mixer, beat the eggs, sugar and lemon zest until pale and thick, about 3 minutes. Add the honey and vanilla and beat for one minute more. Switch to a rubber spatula and incorporate the dry ingredients. Fold in the butter. Refrigerate the batter at least 2 hours or up to 3 days (it helps with the bumps characteristic of the madeleines). Butter and flour your madeleines molds and divide the batter evenly. Bake for 12-14 minutes until they are golden brown. Another recipe i found using lavender is for an apple and lavender tart tatin from saveur magazine. I love tart tatin so this sounds pretty delicious. 1.) Melt butter in a small pot over medium heat. Remove pot from heat and add the lavender, then set aside to infuse for 30 minutes. Warm the butter again and strain through a fine sieve (a fine mesh tea strainer works well). Press the lavender with the back of a spoon to extract as much as possible. Discard the buds, and set aside the infused butter. 2.) Arrange 14 of the apple halves around the sides of a 9" cast iron skillet, all facing the same way, nesting them as tightly together as possible. Then arrange the remaining halves in the center of the skillet. All the apples should have the rounded side down. 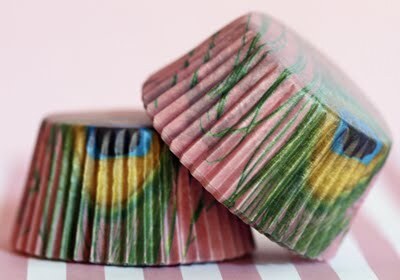 Brush evenly with the lavender butter and sprinkle all over with sugar. Cook over a medium-low heat without stirring, (i have found its helpful to cover pan with aluminum foil with holes poked in it.) until apples are a deep brown on the bottom and softened about halfway up. This should take about a half hour. Then let apples cool in pan about 30 minutes. 3.) Meanwhile heat your oven to 425 degrees F. Prick the puff pastry all over with a fork, then lay over top the apples in the pan, and try to tuck the edges down in around the apples. Bake until golden brown, about 15 minutes. Let rest for 5 min. Then run knife around the edge, Find a large plate, then invert the tart onto the plate. May be served with vanilla ice cream. So i hope everyone will now go and make one of these recipes, or make up your own recipe using lavender!! Today just seems to keep dragging along, i hate days like this. Well today i sat by central park for a while, picked up a few things from the store, and then worked on jazzing up the blog. The background i got off a website as you can see from their add at the bottom of the page. (i hate when things do that) but oh well i liked the background so ill live with it. I however really didn't like the header they had with it, so i decided to make that. Thats pretty much it for my day, very boring. 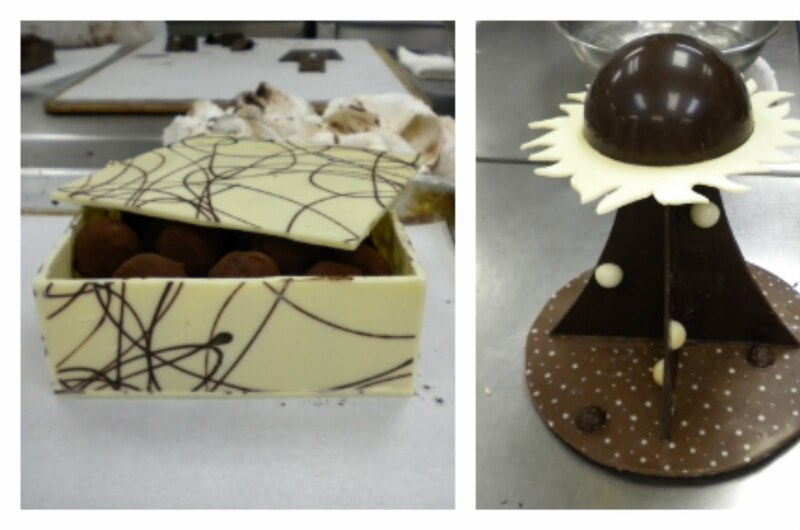 So now i'm posting some pictures of some chocolate work from school. One is a chocolate box filled with Vahlrona Manjari chocolate truffles. The other is a chocolate candy stand (the candy is under the dome of the sun). As you can see i have a thing for space. Well thats all for today. Wow i cant believe i finally got a blog. Well let me first off say my apartment is really tiny, and i basically have none of the tools here necessary for baking anything, so most of my posts will most likely be of things i have made in the past, but i do have a ton of photos stored up so it should hold me over for awhile. So this evening i haven't been able to pry myself from my computer, i've been looking over all of my favorite food bloggers (which is really what led to me creating this at 1 am). Looking at everything was just making me sad though, because i don't have the means of making any of the delicious recipes people were posting.